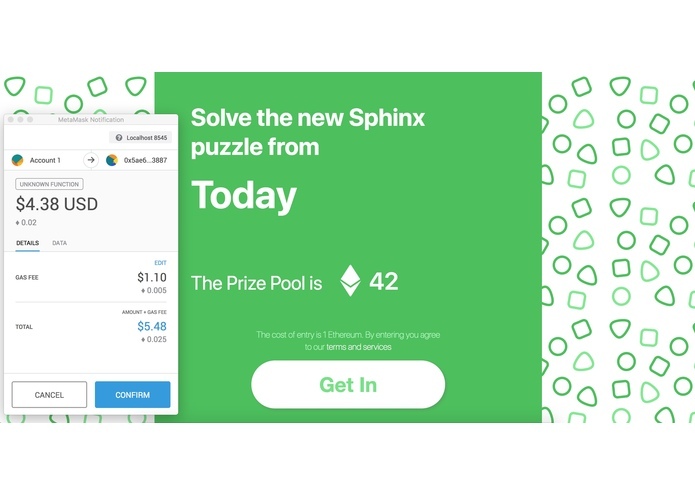 Solve the Sphinx riddles to win Ether! 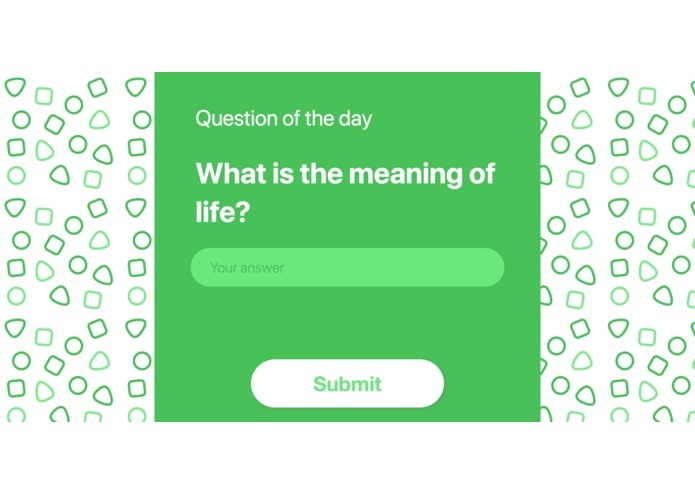 Inspired by our love of riddles and curiosity for Blockchain technologies, we built a webpage which lets you participate in a global contest to solve a challenge. 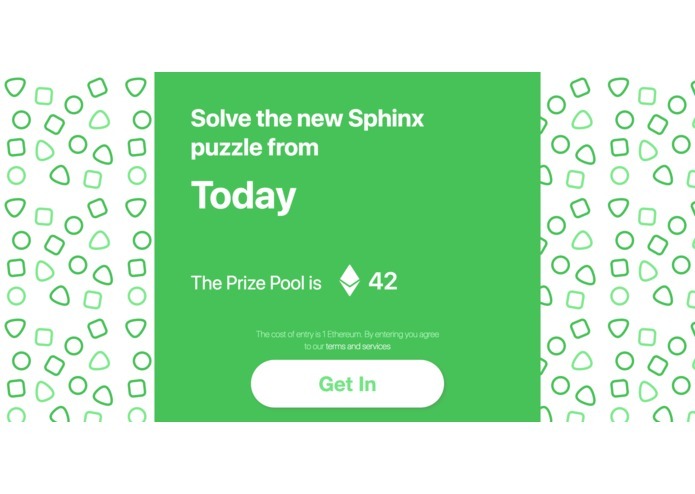 You pay an entry fee to enter the competition which goes to an award prize and the first person to solve the puzzle wins it all. 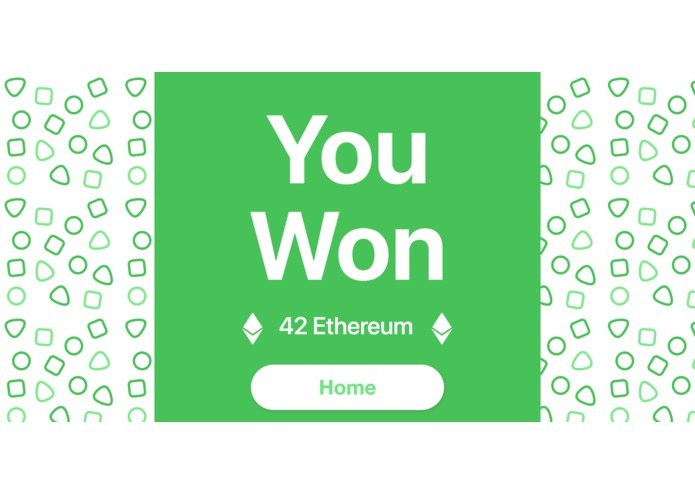 Behind the scenes, a smart contract handles the payment logic.